The (broke) student guide to eating well – To Bake or Study? It’s post-freshers and every student knows that feeling. Tired, run-down, still hungover and feeling a little replete. Maybe even a little podgy in the wake of many a post-night out kebab. But equally, the bank balance has taken a major hit so perhaps running to Sainsbury to stock up on expensive health foods like cold-pressed juices, green tea and blueberries aren’t too high on the list of priorities! Staple foods are the answer. Often languishing in the back of the store cupboard, these basics can re-invent anyone’s diet without breaking into the overdraft. Canned beans, frozen veggies and basic dairy foods might not sound interesting but spruced up with other kitchen essentials and the right recipe, they can make for tasty, nutritious meals. I’m not saying we need to all count the calories, but to eat well, cut a little fat and save a little cash in a balanced and sustainable lifestyle. Omelettes, frittatas, pancakes, poached, boiled or even a cheeky bit of egg rice, the possibilities with eggs are literally pretty much endless. Packed with protein they keep you full and are great for those interested in exercise to fuel a workout or recover afterwards plus they contains all nine essential amino acids as well as iron, phosphorous, selenium, and vitamins A, B12, B2, and B5. and freshers; one egg contains 113 mg of choline, a nutrient that’s critical for healthy brain function – might be useful! Recipes – I’m a huge Wagamama fan but I’m often held back by the price (despite the free green tea!). Eggs MAKE the yaki soba from the average home stir fry to Japanese deliciousness. This Yaki Soba comes in at less than £5 and definitely rivals its high street counterpart. If you’re looking for something properly hearty as the temperatures fall in your uni house, go for a bit of Spanish sunshine with a frittata. Eggs, smoked paprika, potato and cheese can be spruced up with any of your favourite meat and veg, from frozen spinach to chorizo. 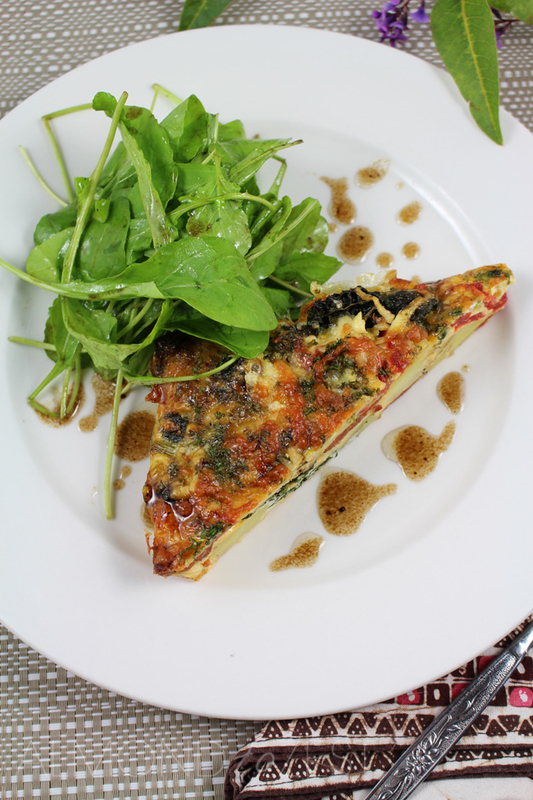 I’m loving this recipe with peppers and chorizo – it’s even low on the washing up! I can’t live without them. I mean have you seen the price of fresh blueberries and raspberries?! Plus they last about a day! Packed full of anti-oxidants and high in fibre, frozen berries sit happily in the freezer and can replace fresh berries in pretty much anything. In baking, the addition of frozen berries keeps the batter cooler as it enters the oven, often aiding the rise and gives a lovely marbled effect. Recipes – These berries regularly grace my breakfasts, top my yogurt parfait-style snacks, bake into scrummy scones (see my recipe! ), swirly sweet rolls, fruit cobblers, cheap oaty crumbles and add va-va-voom to any smoothie! I even defrost them slightly and add to salads with a little seeds and citrus for an interesting summery twist. I need to take a leaf out of my own book on this one. I love fish, but I really don’t eat it enough. Packed with goodies, tinned fish yields an excellent supply of vitamins B6 and B12, magnesium, potassium, selenium, and anti-inflammatory omega 3 fatty acids. While tuna and salmon might look a little expensive on the shelf, half a tin goes a long way due to the strong flavours and aromas. We all know the quintessential pasta bakes and sandwich fillings but there’s so much more to try. 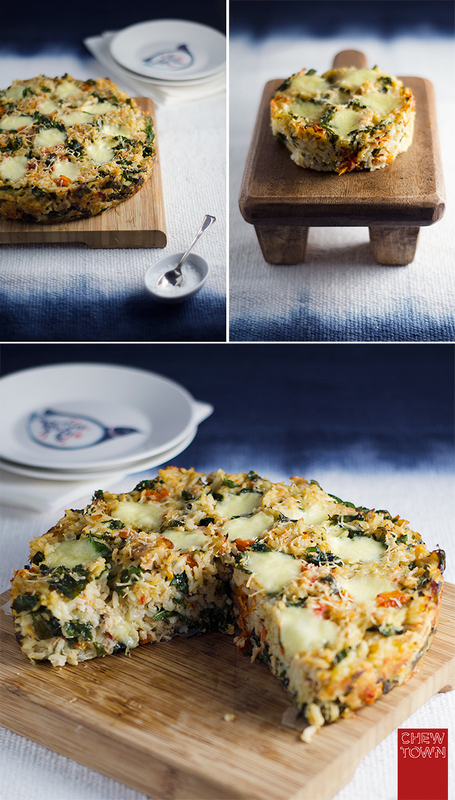 Recipes – Top toast with a cheeky sprinkle of cheese or some avocado, super-healthy Mexican salads with fab greek yogurt dressings, tasty fishcakes or burgers, scrummy salmon pasta and wait for it…tuna risotto pie? This looks epic! My saviour. I pretty much use this for everything from breakfast topping to sauces, to dressings. I’ve never been a fan of heavy cream or mayonnaise but greek yogurt fills the gap and packs a fab protein punch. Buy the plain versions for versatility and opt for a full or medium fat option; low/no fat is high in sugar to improve the taste which is worse than the added fat content (which improves the taste, texture and makes it WAY more filling so you don’t need as much). Recipes – Top your cereals and fruit parfait, make a tasty Caesar salad dressing to tickle your chicken, bacon and leaves, stir into pasta for healthier carbonaras and guilt-free mac&cheese, porridge, post-work out smoothies, coleslaw and even sumptuous summer cakes! Even more recipes here. I mean, who doesn’t have some of this lurking in their freezer drawer right? If not in the normal form but as burgers sadly left over from summer BBQs. Minced beef is cheap, extremely versatile and nowadays can be bought as low fat (look for ~5% fat). Again the protein GAINS are fab, keeping you full and the fat ratio content (mono to poly unsat.) stays relatively constant no matter what the animal eats so red meat can be a better choice for people who can’t afford fancy grass-fed meats. Recipes – Lasagne, chili con carne, made-over moussaka, meatballs, even little Korean beef lettuce wraps and Mexican favourites like cheesy quesadillas, fajitas and taco rice. Unfortunately many of those listed are pretty carb heavy but swap noodles out for some spiralized veggies, or rice for cauli-rice and you’re laughing all the way to the kitchen. It’s really a great and useful piece of info. I’m satisfied that you simply shared this useful information with us. Please stay us up to date like this. Thank you for sharing. I do not even understand how I ended up right here, but I thought this publish was good. I do not know who you might be but definitely you are going to a famous blogger in case you are not already 😉 Cheers! ← Is road cycling the better option?